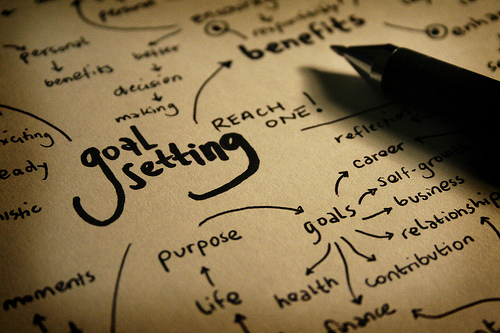 In a recent post, I examined my goals for 2010 and compared them to actual results. Based upon my review, I successfully finished 2.75 out of 5 items. That's not bad, but I can do better. In this article, I will look ahead toward 2011 and set new targets. Complete the Proposal and Dissertation toward successful completion of the Doctorate of Business Administration (DBA): This goal is a big one. Having completed all my required coursework in 2009, I need to close this chapter of my academic pursuit. Therefore, by the end of 2011, I resolve to finish all work necessary to write, submit, and defend the proposal and the related dissertation toward a successful completion of the D.B.A. Lower and maintain bodyfat between 6-9%: Having lost 30 lbs in 2010, I resolve to lose the remaining bodyfat in order to reach and maintain a healthy 6-9%. Increase Pageviews on damondnollan.com to at least 100,000: In 2010, I reached over 45,000 pageviews. In 2011, I resolve to meet or surpass 100,000 pageviews. Increase Total Listens of Room 3026 Live Podcast to at least 27,000: In 2010, the team successfully brought in over 10,000 listens. I resolve that by the end of 2011, Room 3026 Live will have at least 27,000 listens to the show. In 2010, I resolved to complete 5 items. This year, I brought that number down to 4. My hope is that by focusing on fewer items, I will improve my chances of finishing 4 out of 4. What are your resolutions for the year? Feel free to share those items with me in the comment section below.